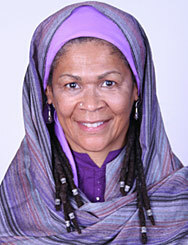 Islamic and gender studies scholar and author Amina Wadud delivers annual Thompson Lecture on March 6 at 7PM in Olmsted Room, at K.
Author and scholar Amina Wadud, Ph.D., will deliver the annual Thompson Lecture in Religion at Kalamazoo College, Thursday, March 6, 7:00 p.m. in the Olmsted Room, Mandelle Hall, 1153 Academy Street. Her lecture, “We are One and We are Diverse: Muslim Women’s Responses to Gender Reform,” will focus on the changing dynamics of traditional Islamic gender justice and inclusiveness. Dr. Wadud is an internationally known scholar on Islam and gender. She is professor emerita of Islamic studies at Virginia Commonwealth University in Richmond, Va., and a visiting scholar at Starr King School for Ministry in Berkley, Calif. She is also the author of several books, including Inside the Gender Jihad: Women’s Reform in Islam (Oneworld Publisher, 2006), and Qur’an and Women (Oxford University Press, 1999). 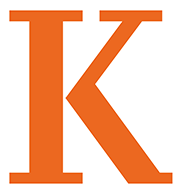 The Paul Lamont Memorial Lecture at K was established by a gift from the sons and daughters-in-law of Paul Lamont and Ruth Peel Thompson. Paul Lamont Thompson was president of Kalamazoo College from 1938 to 1949. This entry was posted in News Stories and tagged religion, speakers, . Bookmark the permalink.